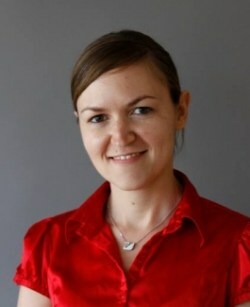 Donika Dimovska provides program management for the Center for Health Market Innovations (CHMI), as well as the newly launched, Center for Education Innovations (CEI). Donika started at R4D in 2008 to work on one of R4D’s first projects, the Rockefeller-funded Role of the Private Sector in Health. As part of that work, she co-authored a review ofInnovative Pro-Poor Healthcare Financing and Delivery Modelsand contributed to the conceptual foundation behind CHMI. While at R4D, Donika has led the development of new tools and modalities for engaging practitioners, funders, researchers and policymakers working to improve how health and education systems work to serve the poor in low- and middle-income countries. Prior to joining R4D in 2008, Donika worked at the National Democratic Institute for International Affairs (NDI) where she conducted research on democratic developments in the Balkans and the Black Sea region. Donika obtained a M.A. in International Relations from the Maxwell School of Citizenship and Public Affairs at Syracuse University in December 2007. She spent the last semester of graduate studies at the International University of Japan (IUJ) in Niigata where she focused on contemporary issues of economic and political governance. In addition, she was a Graduate Assistant with the Program on the Analysis and Resolution of Conflicts (PARC) at Syracuse University where she performed a comparative analysis of conflict patterns and the impact of multilateral peacekeeping operations in three West African countries. While pursuing her undergraduate degree, she gained extensive development program experience working with Religions for Peace International in New York, and interning at the Council on Foreign Relations, Action Against Hunger and The Trickle Up Program. In looking beyond individual organizations trying to grow their business models, the Results for Development Institute saw some common themes about what industry facilitators can do to support the growth of inclusive industries.